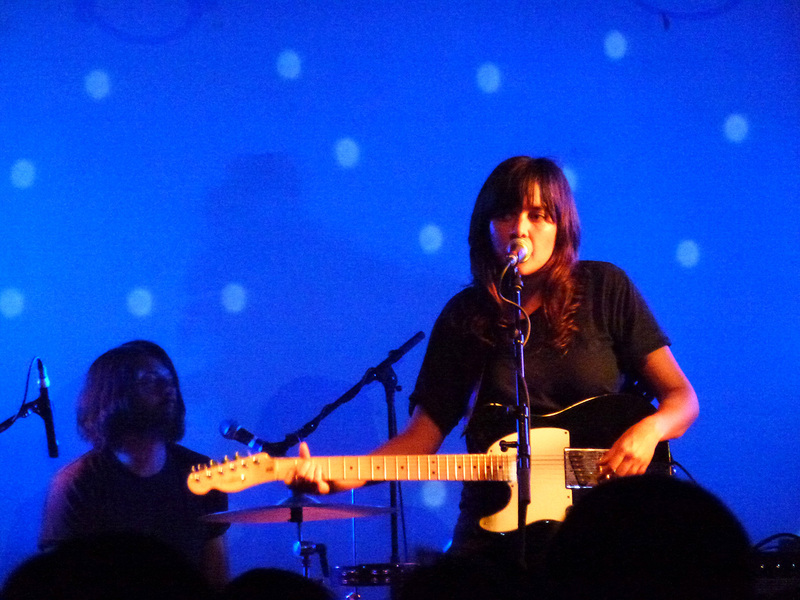 Courtney Barnett began her recent Australasian, North American and European tour here in Auckland, playing to one of the most squeezed-in houses I have ever seen at The Kings Arms. CB was everything I expected: Nonchalant, adept, witty, self-effacing. Already familiar with her superb, but modestly reserved live performances at daytrotter (with band) and NPR (solo), her energetic performance at the Kings Arms was a surprise; turns out she was more than I expected. While maintaining an exuberant chill, CB flopped and rocked, the entire band appearing to enjoy themselves thoroughly. This elevated sonic performance was helped in no-small-measure by fourth band member for the tour, guitarist Dan Luscombe, who has a fine Oz pedigree, notably with Blackeyed Susans and Drone. Feeling the need to explain CB, popular press have thrown her into a ring of diverse comparisons: Jens Lekman (! 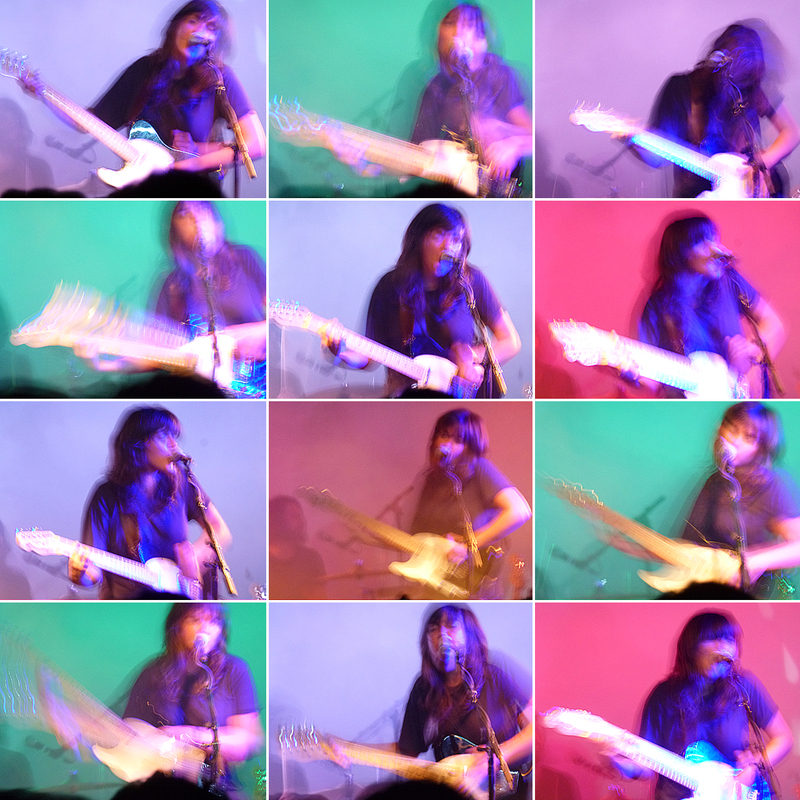 ), Eleanor Friedberger from Pitchfork; Rollingstone just don’t know what badge to pin on her: the Go-Betweens, Juliana Hatfield, Lou Reed, maybe Pavement, early Dylan, or possibly ‘some hybrid of Kimya Dawson and Kurt Cobain’. However, she has rightly been touted by the same press for her matter-of-fact story-telling and, the droll charm of her lyrics – but I’m not sure if they really get that either – they fail to recognize CB’s affinity with Australia’s rich bedrock of fair-dinkum yarn-spinners. With an unperturbed flair for stating the obvious, no matter how mundane, they are drawing us into their everyday lives with intimate conversations; at times tragic, often poignant, sometimes naive, invariably revealing, but always worth relating. Mind your step though, its not in their nature to suffer pretension, neither fools, nor ‘try hards’. Their songs resonate with a familiarity that could be our own, or at least, with sentiments that should be our own. I wrote about some Australian bands back in April this year, including the “laconic Barnett” and others who are “full of enterprise, talent and independence”. I’ve also written previously about the Aussie character; that bunch of “bloody larrikins” who “thrive on taking the mick out of each other”. This bedrock of Australian story-telling is a dual thread of indigenous and immigrant: from the Aboriginal ‘Dreaming‘ to the bush poetry of Bango Paterson; from Nino Cullota’s (John O’Grady’s) They’re a Weird Mob and ‘Sydney’s Dickens‘ Ruth Park, to Nick Cave. The current overflowing of outstanding Australian music is bristling with their own vernacular. That gives the sudden shudders to the lor-abidin’ race. 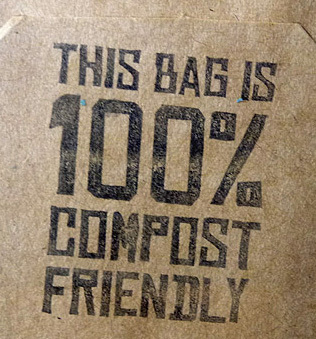 During We Compost Weekend you can fill a bag with vegetable waste and trade it with participating stores for a coffee, a tee-shirt, a pie, or… ready to use compost. Currently Auckland City collects 1.2 million tonnes of rubbish annually, two-thirds of which is organic.1 Composted, this would become gardening gold. 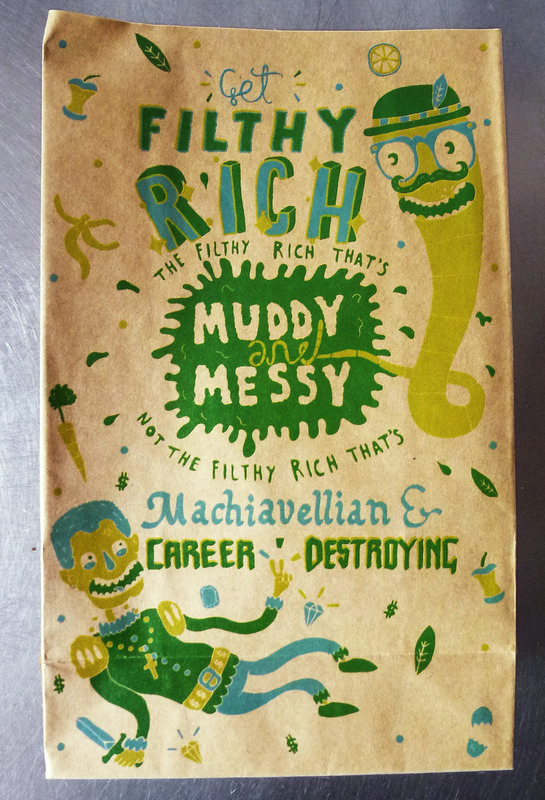 In a landfill, it breaks down into a concoction of greenhouse gases, mostly methane and CO2. Not so flash huh? Auckland City does have a promising waste management plan however; kerbside rubbish bins will be reduced in size, and organic waste bins will be introduced during 20152. While council needs to lead such initiatives, we really do rely on enterprising folk to continually activate, educate, promote, and inspire by example; otherwise policy can become a challenge of compliance – or worse, non-compliance. I want to start seeding a change so that people at home think twice before throwing away their food scraps. If they set up compost bins or worm farms at home, or encourage their work place to start composting, or tell their friends about it then it will be worth it. 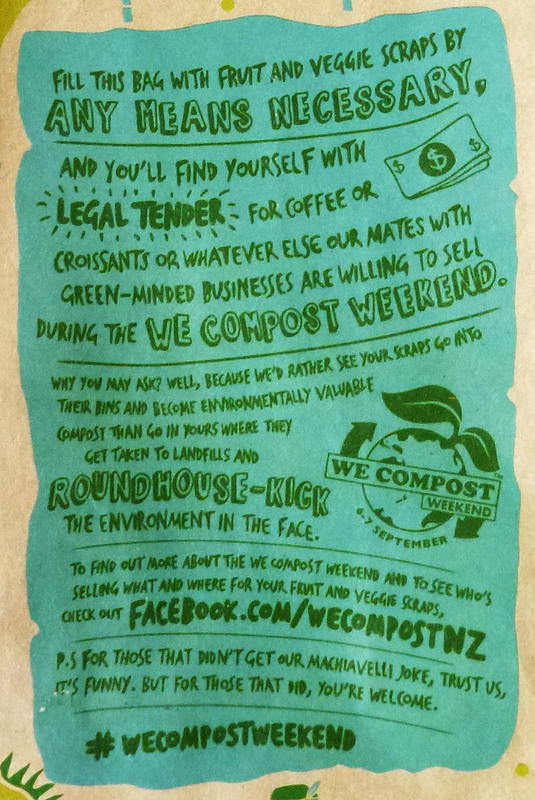 I highly recommend you follow We Love Compost – get yourself a bag, fill it, and trade it this weekend – they will be posting a directory of stores/services where you can exchange or organic gold. Now that’s flash.